For the past three years, Hourglass as released a holiday palette that combines some of their best selling ambient face powders, blushes, bronzers and highlighters. And for the past three years I’ve passed on each palette because the shade selection wasn’t suitable for my deeper skin tone. I would love to purchase one, but for the price it doesn’t make sense. I’m not paying that much money for minimal product that doesn’t even show up on my skin or looks ashy and doesn’t compliment it in any way. No ma’am, not doing it. So the other night I was in bed and this idea came to me about curating my own palette from Hourglass or any of those other brands that don’t seem to realize that skin tone is not one shade fits all. Going by their standard layout of six shades, I’ve done my best to select what I think are shades that would flatter my deeper skin tone. Hourglass if for some reason you happen to come across this post, by all means use it as inspiration and diversify your palette offerings. The website describes this shade as ‘A pearlescent beige powder’. From swatches it looks like it would work better with my skin tone. It wouldn’t produce a gleaming see me from space type of highlight but more of a subtle lit from within look. Which is what I think these powders are tailored towards anyway. The powder is meant to give the skin a soft luminous glow. These powders are supposed to be finishing powders, Hourglass says that they diffuse and soften, it’s the original photo filter for your skin. Meant to conceal skin imperfections, pores and wrinkles. Dim Light is a neutral peach and Radiant Light is a golden beige, both lean more to the warm brown side, which works for my skin tone. Neither one looks like they’ll make me look ashy when I apply it. They’re not meant to be products that offer coverage so they don’t need to be built up on my skin, just a light dusting or so will do. So, this is the bronzer that Hourglass says would work best with those that have medium/deep complexions. Where, Hourglass, Where? Which part of this product is suitable for those that have a deeper complexion. From the swatches that I’ve seen this wouldn’t work well at all. In fact it looks pretty much like the rest of the bronzers in the collection that say suited to fair/light and light/medium. As a matter of fact, in the swatches Diffused Bronze Light looks darker and that’s supposed to be for light/medium complexions. So I’ll ask again, how is this bronzer meant for those with deep complexions? Since this is apparently the best they have I’ll make do and add it to my palette, it’s under duress though. 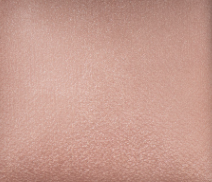 This is a soft lilac blush blended with the Euphoric Strobe powder. This deeper colour combined with a highlight powder that I think would work with my skin tone leaves me thinking that this blush colour would be a good compliment with my complexion. I don’t for see any concerns about the possibility of being ashy. I went with this golden fuchsia pink toned blush that is infused with Radiant Light powder because I think that it will show the best on my skin. In this case I’m not so much concerned about ashiness as I am about the colour showing up and being apparent on my skin tone. Its meant to provide a soft flush of colour with a gentle summer glow. It’s the best of the lot. As I was doing this exercise the thought occurred to me, how does one just completely disregard a whole group of people. It seems to me that Hourglass forgot that their are people who have a skin tone that goes beyond medium. Honestly, they need to do better. Their product is raved about all the time, but if you don’t have something in my shade range I can’t use your product. Was it your intent to make something exclusive and not available to everyone? It just made me frustrated that even when I tried to create my own palette with their product offerings, I really couldn’t because some things just weren’t available for me. Hourglass you need to do better. I was so excited to do this exercise and the whole bronzer thing left me deeply disappointed. I’m just a little over it. Even though I picked out shades that I think would work for my complexion, I realized that unless Hourglass widens the colour range of products they offer, even for the Ambient Light Powders which with the current shade range would probably work for me, it’s unlikely that I will be making a purchase from them. I don’t see the need to maneuver and trouble shoot a product to make it work for my skin tone, when I’m paying that much money for it. Have you tried any of the Hourglass Ambient Light Powders? Were you a fan?